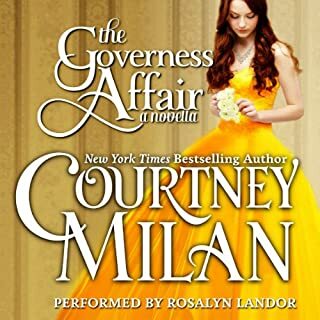 I have recommended this a couple of my historical romance junkie friends. It embodies the time period but with a twist. It isn't about the privileged class - as is the case with the majority of historical romance. I loved Serena. Her determination, unwillingness to accept defeat. I have listened to Rosalyn Landor before and I do enjoy her performances. This one is on par with the others. Yes. I found myself eager to find out what happens in the next interaction between Hugo and Serena. I can't wait for the next book in this series. The epilogue just makes me want it more. I'm still struggling to finish this book. I have a bout 90 min left and I can't seem to do it. So no, not time well spent. I am seriously contemplating skipping a head to listen to the last 10 min and be done with it, but I'm not even sure I care that much about what happens to the main characters. I think there is just too much detail about the Maya, or maybe it was just too dry. I think it needed more action, or maybe more sympathetic characters. The one character I liked got shot close to the beginning and hasn't made a reappearance yet. Which character – as performed by Richard Ferrone – was your favorite? Richard Ferrone did a good job with the narration, but I just can't bring myself to care for any of the characters. 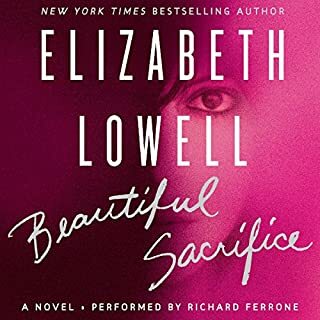 Do you think Beautiful Sacrifice needs a follow-up book? Why or why not? I think this book should just be left to lie in peace. What made the experience of listening to The Art of Seducing a Naked Werewolf the most enjoyable? It was all so thoroughly enjoyable I don't know where to start. I love Maggie, and Nick, and Moe, and Cooper. This book is hilarious. What was one of the most memorable moments of The Art of Seducing a Naked Werewolf? Without giving too much away - the most memorable part for me was about Maggie and the mating mark. Maybe I''m just slow to catch on but that part took me by surprise and I'm still laughing about it. She has the snark down to perfection. This book is loaded with sarcasm and grudging respect. Amanda Ronconi should ( and I believe she does) narrate all that Molly Harper writes. They make a great team. Laugh...I laughed until I cried and some of the situations in this book. Dumped by her boyfriend and demoted from WBBB's prime-time spot, radio producer Allie McGuffey has nowhere to go but up. She plans to make her comeback by turning temporary DJ Charlie Tenniel into a household name. And if he's willing to help cure her breakup blues with a rebound fling, that's an added bonus. Jennifer Crusie at her best! Would you listen to Charlie All Night again? Why? I have listened to this book more than once already. It makes me laugh out loud at times. I thoroughly enjoy the internal and external dialogue. 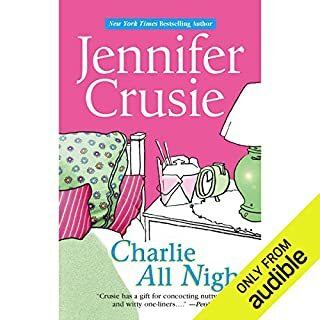 Jennifer Crusie has a way of making her characters so real, easy to relate to. I loved the radio station, how everyone one - except for a few notable exception ( and even then they came around eventually) - worked together. How Allie was the driving force behind that place and didn't want or need the credit. And the puppy...I am a sucker for the puppy. What does Aimee Jolson bring to the story that you wouldn’t experience if you just read the book? Aimee Jolson did a very good job. I love it when I can easily determine who is speaking based upon the narrators ability to give each character their own voice. There is a lot of dialogue in this book and it can be fast paced at times and Aimee preformed very well. 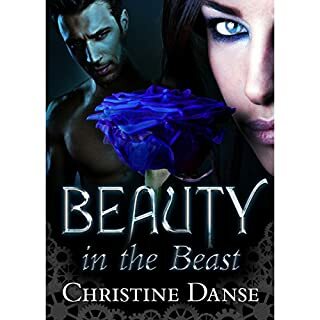 I can't really say that I wouldn't have enjoyed this book as much if I had read it for myself but I do know now that if I do read it for myself then I will be hearing the characters as Aimee narrated them. Not particularly. It wasn't really gripping, and I wasn't thinking about it while I was trying to do something else. Don't get me wrong I enjoyed it but for me to want to listen to it in one sitting - well 7 hrs is a long time. Yes I would recommend this as a beach read. It was an easy read. I really didn't find it all that engrossing but it did manage to pull me into Chloe's emotional turmoil. I found Chase to be just too good to be true. But that is what a beach read is for. Would you recommend The Look of Love to your friends? Why or why not? This is the first time I've listened to Eva Kaminsky's narration so I can't compare her to any of her previous endeavors but I would pick up another book narrated by her in a second. She was very good. Do you think The Look of Love needs a follow-up book? Why or why not? It doesn't *need* a follow up book but I would love to hear more about Chase and Chloe. What did you love best about Up Close and Dangerous? The characterization was good. 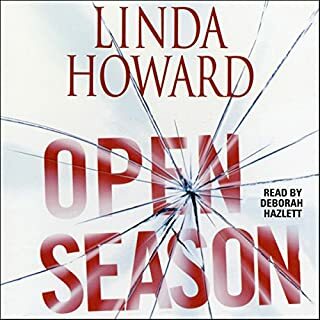 Like many of Linda Howard's novels, it gives you a detailed look at the main characters thought process. There are really only two characters through most of the book, Cam and Bailey. I liked them both. They came across as very real. Linda Howard has a knack for putting normal people into unusual situations and letting us watch the outcome. I have listened to many of her performances and loved them all. I find she has a nice range and I never catch myself cringing at her male/female voices as sometimes happens with other narrators. I found i had a hard time putting this down. Or turning it off as the case may be. I wanted the drive to last longer so I wouldn't have to pause the book. The romance itself felt rushed. There was a nice twist at the end. Journeying by steampowered sled to London's Frost Fair to perform, Tara and three friends are trapped in a blizzard in the woods. A gruff, handsome stranger offers them shelter - and wants one thing in return. Stories. Their host, Rolph, is captivated by Tara's story of an orphaned girl raised by the Fae in the world of the spirits. Equally intrigued by Rolph, Tara encourages him to share a story of his own. When Rolph weaves a tale of a man who is doomed by his own folly to turn into a wolf at the full moon, Tara suspects there is more than a grain of truth in his words. The mix of different genres was most likely the most interesting aspect of this book. There was steampunk/fantasy with some historical/romance and fairytale. The book though fell flat near the end. For me it just failed to deliver. What does Rebecca Wisocky bring to the story that you wouldn’t experience if you just read the book? I picked up this audiobook because of Rebecca Wisocky. I absolutely adore her narrations and would listen to anything she read. She is so good at crafting suspense and her pacing is marvelous. 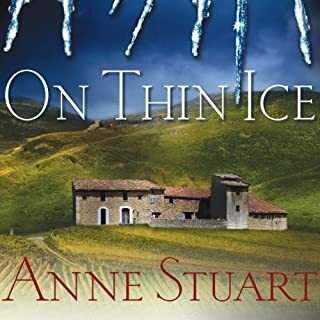 In the latest entry in Anne Stuart's exciting Ice series, when Finn MacGowan escapes from captivity in Latin America, taking with him feisty American heiress Elizabeth Pennington, the pair encounters even more trouble as they try to make their way toward safety. Great addition to a very good series. Would you listen to On Thin Ice again? Why? I'll definitely listen to this audiobook again. In fact I've just finished it and will be starting over at the beginning as soon as I've done here. It is the perfect mix of suspense and - though I hesitate to use the word - romance. What other book might you compare On Thin Ice to and why? Of all of Anne Stuarts books this one reminds me most of Ruthless. The hero/antihero...is not as heartless as some of her protagonists. I have to say - odd as it may be - that Dylan was my favorite character. Xe Sands is EXCELLENT...and is definately in my top 5 narrators. I live with a teenage boy - and Xe had the breed down perfect in her narration of him. What did you love best about Future Perfect? This is a very character driven story. I actually found myself laughing out loud. For those who are familiar with Suzanne Brockmann's work this won't offer much in the way of variety but it is a formula that works. I couldn't stop listening. What was one of the most memorable moments of Future Perfect? I'm not a big fan of characters who are quick to judge. And both of the main characters in this book are guilty of that but it was very well handled and i like how both of them are made to see the error of their ways. Patrick Lawlor has the dialog down pat. There is never any confusion as to who is speaking. Even though some of the dialog can be fast paced, he makes it work.